As a parent, there’s nothing worse than questioning your own decisions — especially when they involve your kids and their health. Pediatric Emergency Physician Joey Gassen, MD,with Northern Nevada Emergency Physicians can help. 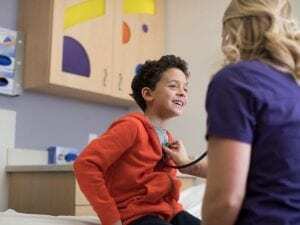 He explains when you should take your child to the Children’s ER at Renown Children’s Hospital, and what makes a children’s ER different. Next post: From NICU to Nothing Can Stop Him.